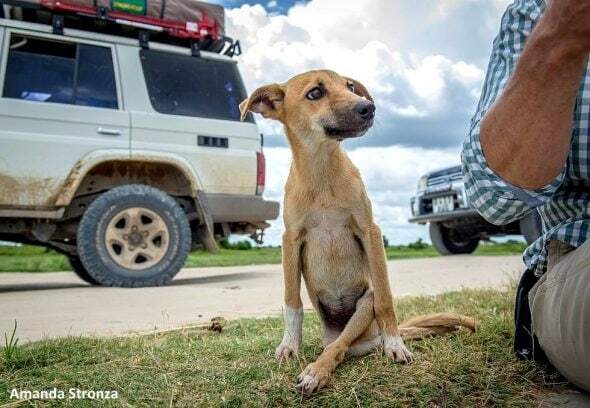 Team members at a remote elephant research camp in Botswana are used to seeing their share of injured animals, but were shocked to see a small dog dragging herself towards them one day. Poppy must have sensed that these people could help, because now she is loved and getting the medical treatment she’s needed. The Okavango Delta is home to nearly a thousand species of animals, including warthogs, baboons, hippopotami, rhinoceroses, zebras, wildebeests, elephants, hyenas, crocodiles, cheetahs, lions, and wild dogs. But it was a domesticated dog who would soon be making a home of the camp. 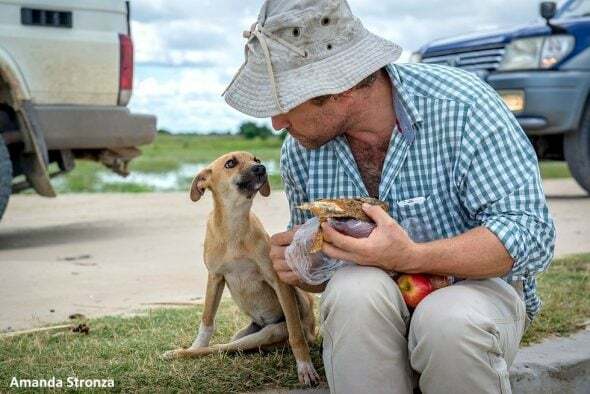 The team took Poppy under their wing, amazed that she had traveled so far to reach them and had survived the journey. Better the rain than the scorching, arid heat, as the camp is just north of the Kalahari Desert. 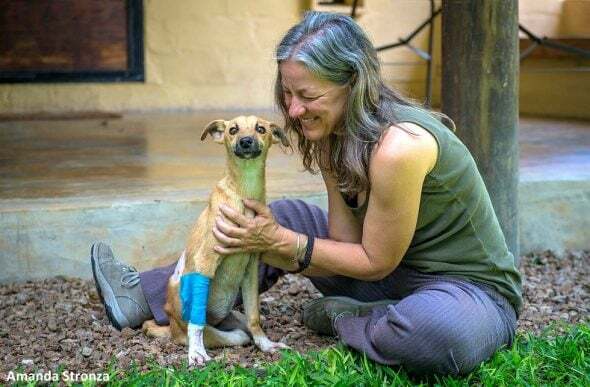 The researchers monitored Poppy for a few days, and as soon as he could, Graham McCulloch made the eight-hour drive with her to a veterinarian. 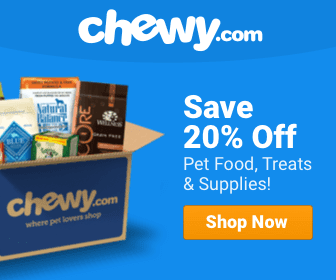 The vet determined that she had sustained her injury when she was a puppy around seven months old, possibly from being trampled by a person or large animal. She needed corrective surgery, so team member Amanda Stronza set up a GoFundMe page to raise the funds to be able to do so. So the vets agreed to give her anti-inflammatory medication, and with that and some proper food and water, Poppy got stronger. She was even able to put some weight on her atrophied hind legs. 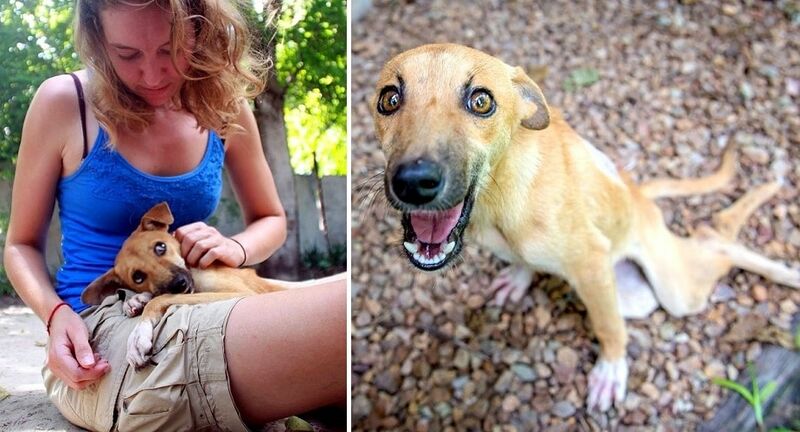 Every day she showed her rescuers just how special she was. 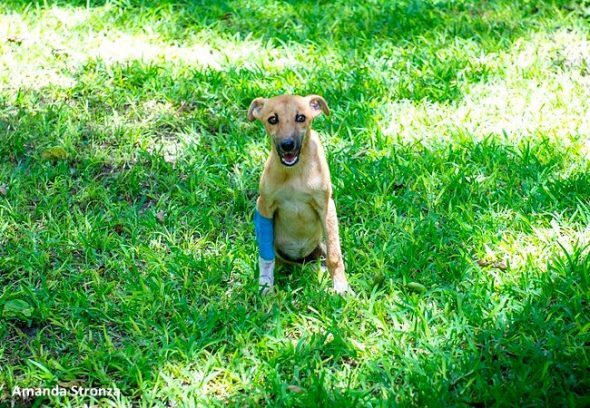 Poppy will stay with the research team – her temporary family – for at least the next month until they can decide what course to take from there – surgery, a more permanent home, etc. 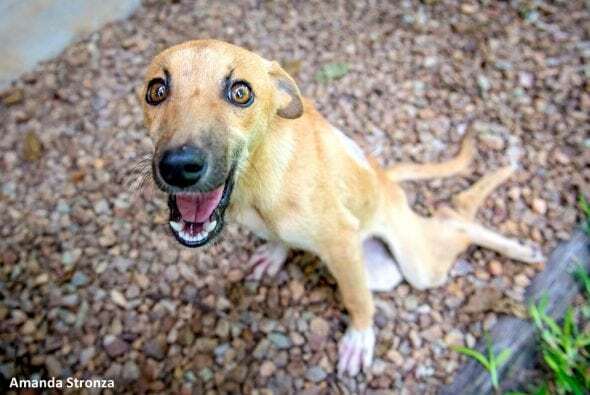 Many people have already expressed an interest in adopting her. Poppy now has her own Facebook page so people can follow her story.